The next issue (the issue of October, 2012) will be uploaded by the second week of October, 2012 or earlier. S. Banurekaa, M.A., B.Ed., M.Phil. Julia Devardhi, M.A., M.Phil., Ph.D.
Md. Maruf Ul Alam, M.A. Safdar Hussain, Ph.D. Scholar & Shirin Zubair, Ph.D.
B. Siva Priya, M.A., M.Phil. A. K. Mohamed Amin, Ph.D.
Ms. A. Umadevi, M.A., M.Phil. S. Baghyalakshmi, M.A., M.Phil., Ph.D.
Vedhasorubini.K. M.Sc. (SLP) & Shyamala K. Chengappa, Ph.D.
C.N. Vidhya Lakshmi, M.A., M.Phil. Ms. Niyathi Chopra, MASLP, Venkataraja Aithal U., Ph.D.
Majid Iqbal, M.A. (English), B.Ed. M. Tariq Mahmood, M.A. (Econ.). P.G.D. in Islamic Law. M.Phil. (Islamiat), B.Ed. A PRINT VERSION OF ALL THE PAPERS OF SEPTEMBER, 2012 ISSUE IN BOOK FORMAT. If you are not connected to a high-speed Internet service provider, you may like to get it downloaded in a "browsing centre" near you and ask them to burn a CD of the entire volume. 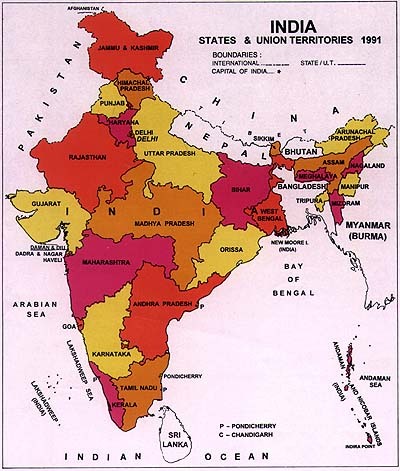 Language in India www.languageinindia.com charges a formatting fee of Indian rupees 1200 only for the publication of each article submitted by authors from South Asia and other less affluent countries. Authors from affluent countries are charged a fee of Indian rupees 1600 only. Note that those authors of South Asian origin who work in affluent countries are also charged Indian rupees 1600 for each article. This fee covers the editing and formatting of articles, etc. for HTML presentation, uploading it to the Internet, maintaining it in the Internet and for doing repairs when necessary. When we do the formatting, if we find that the paper has many grammar, spelling, word choice, capitalization, phrase and sentence coherence and cogency errors, we'll edit it suitably correcting the errors mentioned above and improve the stylistic presentation. Our copy editor/s will go through the article line by line and edit the paper removing the errors. Kindly note that even with this editing and formatting fee, publication of the article is heavily subsidized considering the actual costs of labor and time involved in editing, formatting, uploading, maintaining it in the Internet and doing repairs when necessary. Many journals with less indexing privileges charge Euro 100 (Indian rupees 6900) per paper. Every university-approved Ph.D. dissertation is charged Indian Rupees 3000 and M.Phil. Dissertation is charged Indian Rupees 2500 only. Masters dissertations are charged Indian rupees 2000 only. University-approved dissertations are not normally reviewed as these have already been approved after review by examiners by the universities. However, minor adjustments may be suggested for easy readability. Language In India is a monthly online journal devoted to the study of the languages spoken in the Indian sub-continent. We wish to present the scholarly research findings on these languages in popular language. Our focus is on language use in mass media, education and administration, speech and hearing, sociolinguistic and political aspects relating to these languages and the society in the Indian subcontinent. We wish to present the linguistic descriptions, interdisciplinary research, and current issues of importance relating to Indian languages. Following the age-old tradition of Indian scholarship, the pages of this journal are open to scholarly articles on any language and society. We believe in co-operation and mutual help to foster amity between all peoples and their languages. This online journal publishes not only articles, but also book-length reports and studies. We want to be a blessing to Indian and other languages, praying for "strength for today and bright hope for tomorrow." We sincerely believe that every language deserves our whole-hearted support for growth and that every one can find its place in a mosaic of unity and understanding, serving each other and singing the glory of God.